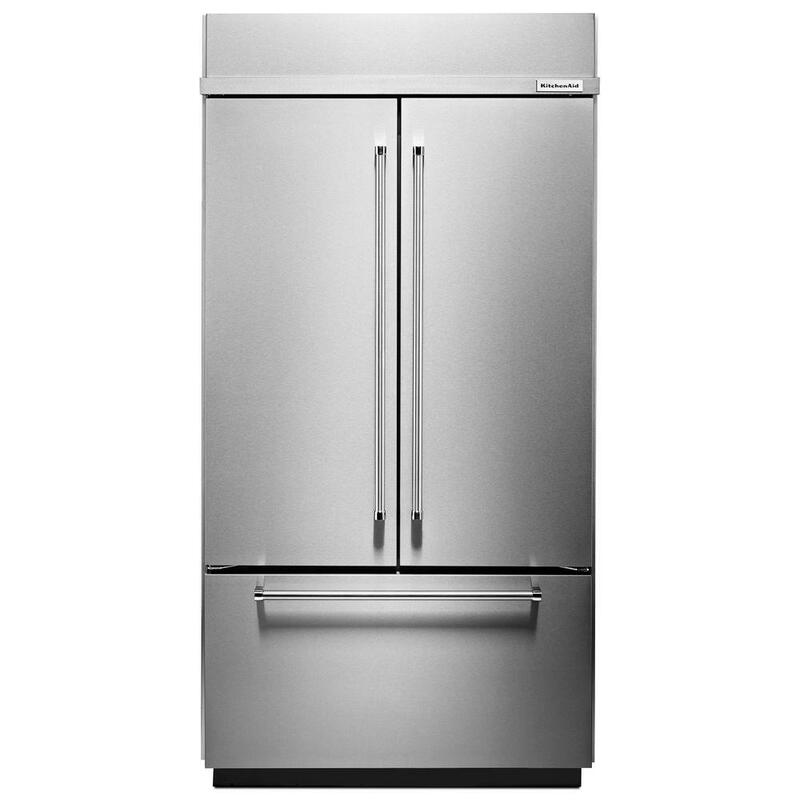 Efficiency can mean a lot nowadays, and this ENERGY STAR qualified 7.4 cu. 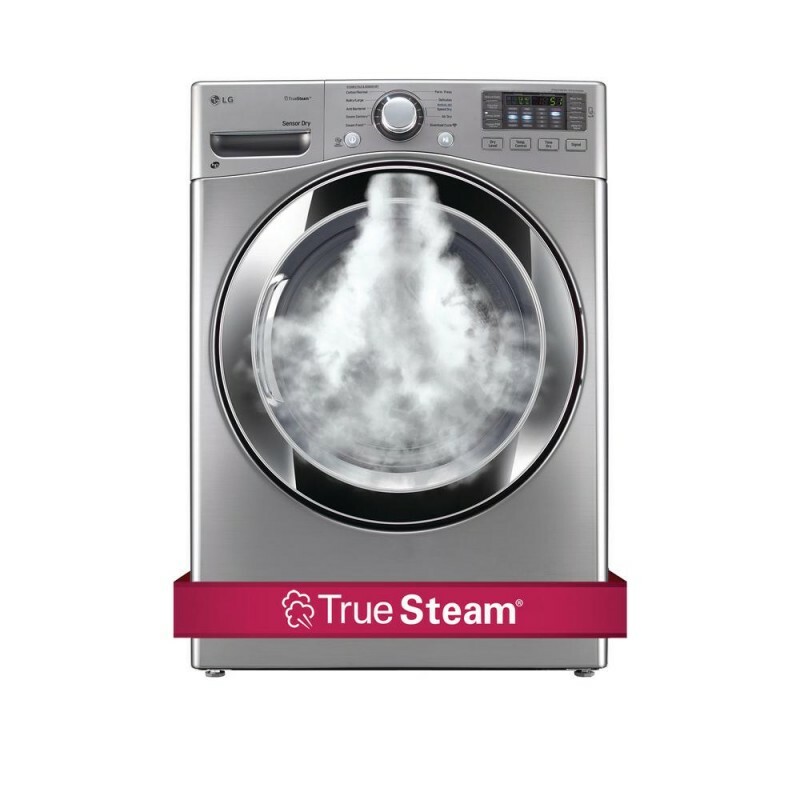 ft. Electric Dryer with steam provides superior performance. 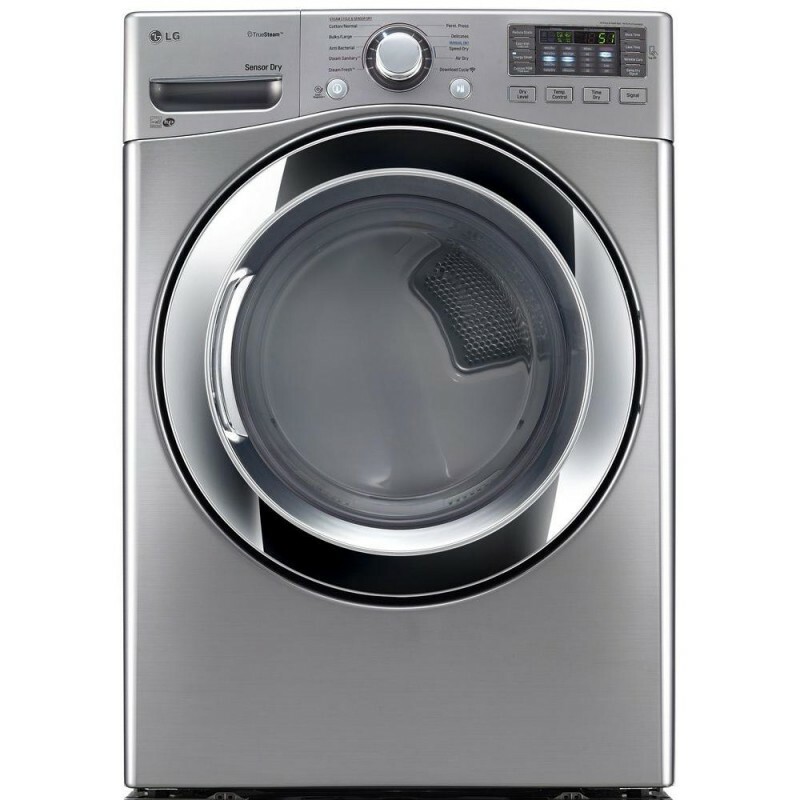 Featured in a sleek graphite steel finish, its ultra-large capacity handles extra-large loads, so you finish your laundry faster. The intelligent electronic controls with dual LED display makes it easier to get the settings right, so you can just "set it and go." The Sensor Dry System will detect the level of moisture in the fabric and automatically adjust drying-time and temperature. Great Dryer We purchased this in a set with the washing machine to replace a very old set, and I have been very pleased. 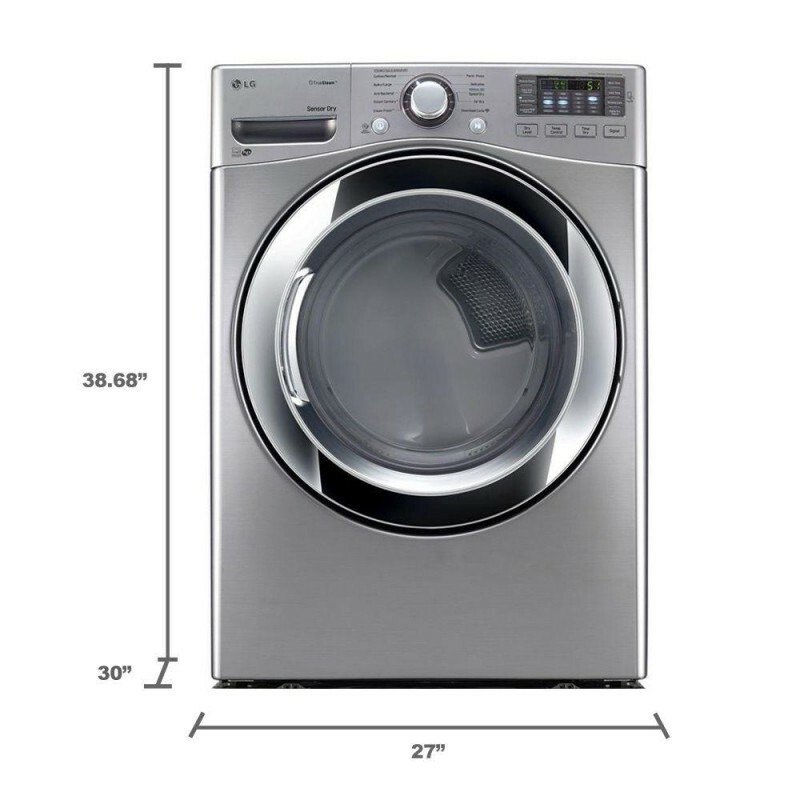 This dryer works very well and does a good job of sensing whether clothes are dry. I really like the dirty filter notification because sometimes my daughter forgets to clean the filter. Dries well, convenient settings. Have been using this for about a year now. Works great and has great drying settings for one touch setting. Does the job! When our old dryer broke for the third time, we decided it was time to replace it rather than repair again. We bought this and the matching washing machine and we like them much better than our old set! The steam feature is so nice, and I love all the options to customize temperature, etc. My only complaint is that most loads of laundry need to be run more than once if you turn the temperature off of high heat, which takes quite a bit of time. Does a fine job Have used it for several months now with no problems - it was briefly used, but first owner returned it (along with matching washer) - so got the pair at a discount. Good Dryer I was skeptical with this dryer at first but I’ve owned this dryer for 6 months now and I’m actually impressed how quit it is and it dries my clothes good.